Here are eight soothing face masks that will help bring radiance back to your skin for the rest of the season. As much fun as it is hanging out in the sun in the summer, it can do a number on your skin. While it's crucial to wear sunscreen every day (and reapply it every two hours) in order to minimize your chances of getting any sun damage, you shouldn't stop there. If you truly want a flawless complexion, you should be looking after it properly every day, morning and night and that includes using a mask at least once a week to alleviate any skin concerns. One problem that's all too common in the summer is excessive redness as a result of increased sun exposure. 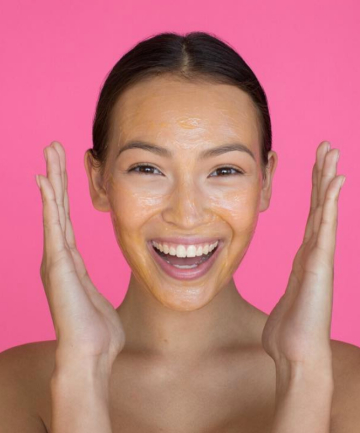 If you're currently battling this, face masks with soothing ingredients like oatmeal are a great fix — they are workhorses that quickly resolve any skin inflammation caused by the sun and take less than 30 minutes to work their magic. Ahead, eight soothing face masks that will help bring radiance back to your skin for the rest of the summer.